It's the fall of 1987. NFL players are on strike and Houston Oilers coach Jerry Glanville is sitting in a room with officers from the Houston Police Department. They're about to watch a surveillance video of two alleged Oilers leaving the picket line to smash the windows out on a bus that brought Houston's replacement players to their first practice. "The police say to me, 'Coach, if you can identify these guys, we'll arrest them and they'll be in jail within two hours,' " Glanville said last month. "I said, 'OK, boys, let's do this.' So we look at the video and I'll be damned. It's my two starting safeties." "The police say, 'Coach, can you identify these two men?' " Glanville said. "I look 'em right in the eye and I say, 'Officer, I've never seen those two boys before in my life.' "
If you're old enough to remember 1987, you probably find the current NFL lockout quite, well, boring. Especially when compared with the chaos, the oddity and the lasting infamy of that 24-day strike, which remains -- at least so far -- the benchmark in the NFL's history of labor pains. "It was the damndest mess I ever saw in the 40 years I coached," former Vikings coach Jerry Burns said. "Just a nightmarish operation start to finish. I recommend they never try it again." When players voted to strike on Sept. 22, 1987, the league responded by canceling one week of the schedule. Three weeks of replacement games followed before the regular players admitted defeat and crawled back to work without free agency or a guaranteed percentage of the league's revenue. Ironically, the situation today is flipped 180 degrees. Not only do the players have free agency, it's their guaranteed percentage of league revenue that caused the owners to create the NFL's first work stoppage since the strike in 1987. NFL Commissioner Roger Goodell has said the league doesn't plan to use replacement players this time. Perhaps it's still recovering from the embarrassment of doing it the last time. Replacement games are remembered for small crowds, picket-line confrontations and an amateurish, blooper-quality level of play. They are also remembered for the unbelievable stories that belonged to hundreds of ragtag players who had to be scrounged up from all walks of life in less than two weeks. Mike Lynn, the Vikings general manager at the time, was dead set against using replacements. So while some of his peers around the league spent months scouting and preparing for the possibility, Lynn admits he stubbornly refused to get the Vikings involved in the process until absolutely forced to. "I really didn't think the league would actually go through with it," Lynn said last month. "I always thought there would be some breakthrough at the last second." When there was no breakthrough, Lynn decided to hold an open tryout in Memphis. "I had connections to Memphis, so we just made an announcement in the papers down there that we were having tryouts," Lynn said. "Whoever showed up, showed up, as far as I was concerned." The team's quarterback didn't come from the 300 who showed up for the Memphis tryout. He came in fresh off a flag football league playoff game in Kansas City. Tony Adams played quarterback for the Chiefs from 1975 to '78, but hadn't seen a down of pro football since leaving the CFL seven years earlier. He was a happily retired 37-year-old financial planner, but he also had connections to the Vikings coaching staff. Paul Wiggin, the defensive line coach, was his head coach with the Chiefs. And Bob Schnelker, the offensive coordinator, was Adams' offensive coordinator during his stints in Kansas City and San Diego. "My flag football team won the league tournament on a Sunday, and Paul called me that night," Adams said last month. "I talked to Mike Lynn on Monday, flew to Minnesota on Tuesday, practiced on Wednesday and started for the Vikings that Sunday." Replacement players with no NFL experience made about $5,000 a game and half a share of any playoff money. Vested veterans such as Adams made much more. "I figured I could take a beating or two for what they were paying," Adams said. "I made as much in those three games as I ever made in a single year with the Chiefs and Chargers. Of course, it took me six months to recover. I never thought it would last three weeks." The Vikings were 2-0 when the replacement games started and 2-3 when they ended. 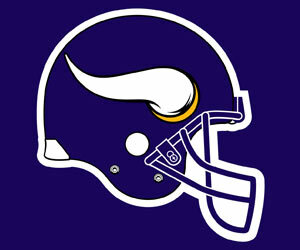 They lost 27-7 at Chicago, 20-10 at Tampa Bay and 23-16 to the Packers in front of 13,911 fans at the Metrodome. "The only thing I remember distinctly about those games is it was the only time in my 18 years in Minnesota that I ever interfered with the coaches on anything that took place on the field," Lynn said. "I remember watching this one particular player get beat on every single play. He was so inept that I went into the coaches' box and I said, 'You tell Burnsie to get that guy the hell out of the game. Now!' "
"We had guys from everywhere just thrown together," said Ken Zelten, an offensive lineman from Memphis who was brought in from the Memphis tryouts. "We had a defensive lineman who was an engineer. He had to leave the team one week because he had already used up all his time off from work. "We also had guys playing out of position. I was going against this little defensive end in practice and finally he tells me, 'Don't say anything, but I played running back in college. I never played end in my life.' "
Zelten was injured during a replacement game and never got another chance to play in the NFL. But the money he made helped put him through seminary school. Today, he's an author, The senior pastor at Birdsong Christian Church, in Milledgeville Tennessee, and travels the country doing public speaking appearances, and performs weddings in Memphis, TN. The Vikings rebounded from their three replacement-game losses to finish 8-7 and beat the teams with the two best records -- San Francisco and New Orleans -- on the road in the playoffs. But a 17-10 loss at Washington to the eventual Super Bowl champion ended their season in the NFC title game. The Redskins were by far the team most thoroughly prepared for the replacement games. That was most evident in the final replacement game, a "Monday Night Football" game at Texas Stadium. Despite losing starting quarterback Ed Rubbert to an injury early in the game, the Redskins still beat a Cowboys team that had several star players -- including Tony Dorsett, Danny White, Randy White and Ed "Too Tall" Jones -- cross the picket line. Completing 11 of 18 passes in the 13-7 upset was Tony Robinson, a once-promising Heisman Trophy candidate at Tennessee who was on a work-release program following a cocaine conviction. "You name it and we saw it during the strike games," Glanville said. "The worst was when a guy said he was someone he wasn't. I had a kid come in and tell me he was going to be the best running back I ever had because his name was Bubba Bean from Texas A&M. "I said, 'Son, I coached Bubba Bean with the Falcons.' And he says, 'Did I say I'm Bubba Bean? I meant Haskell Stanback.' I said, 'Son, you're neither. Get out!'" Many of the replacement teams were given nicknames: the Chicago Spare Bears, the Miami Dol-Finks, the Seattle SeaScabs, the Los Angeles Shams and the San Francisco Phoney-Niners, to name a few. But not every replacement player was unworthy of NFL playing time. "I remember flying home from a game when we found out we had to put a replacement team together," Glanville said. "I huddled all the coaches and we just started throwing out names. I said, 'Where's that linebacker, Eugene Seale?' June Jones, one of my assistants, said, 'Jerry, he's running a jackhammer in Beaumont, Texas.' I said, 'Well, we need to get in a car and get over to Beaumont, Texas.' "
Seale stuck with the Oilers through the 1992 season. In 1988, he made the All-Pro team as a special teamer. The level to which teams embraced the replacement concept varied greatly from team to team, coach to coach, city to city. In Chicago, a divide between coach Mike Ditka and his players developed when Ditka called the Spare Bears his "real players." Meanwhile, in Philadelphia, Eagles coach Buddy Ryan walked off the practice field and turned practice over to his assistants. In Washington, the Redskins scouted so many potential players that coach Joe Gibbs actually had to make roster cuts. Meanwhile, in New York, the Giants weren't sure who to sign, so they acquired an entire semipro team from Connecticut. In Philadelphia, a crowd of 4,074 fans showed up for a Bears-Eagles game and chastised both teams for playing "scabs." Meanwhile, in New Orleans, 29,745 fans chanted "Stay on strike!" as the replacement Saints beat the Rams. In Detroit, then-Lions coach Darryl Rogers decided not to double-cover Seahawks future Hall of Fame receiver Steve Largent, who crossed the picket line and caught 15 passes for a career-high 261 yards. Asked why he left single-coverage on Largent, Rogers shrugged and said, "Why embarrass two players when you can embarrass just one?" Glanville laughs to this day at all the wild stories from 1987. "You don't think we had fun during the strike?" said Glanville, whose replacement Oilers went 2-1. "Man, we had a ball." It's not a view shared by all. "I didn't think any part of it was fun or funny or hilarious," Lynn said. "It was embarrassing. It was a bad, bad part of the history of the National Football League. The relationship between owners and players should never come to something like that."